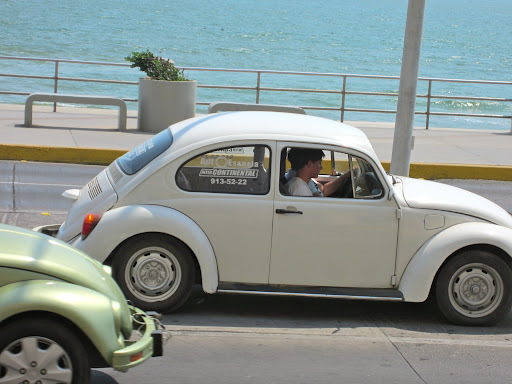 Getting a Mexican Driver’s License in Mazatlán | ¡VidaMaz! For many of us, obtaining our first driver’s license was a treasured rite of passage. When it comes to our kids getting their licenses, however, like many parents the thought scares me. And the scariness factor is amplified because our son is learning to drive in what, for us, is a foreign land, and one in which the driving, at times, can seem a bit crazy. Guardian angels please protect him and those near him! 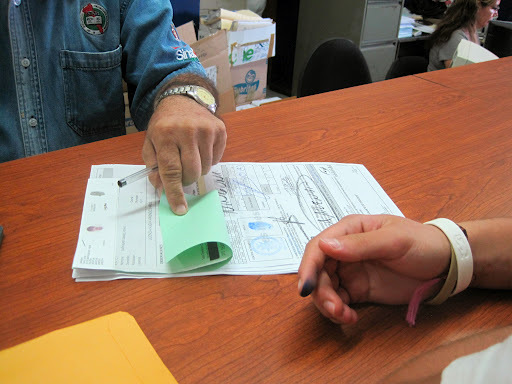 Greg and I obtained our Sinaloa driver’s licenses shortly after we arrived. We took the required class, submitted our documents, drove around the block, had our photos taken, and oilá. Others pay a “fee” and have it all done for them, but we did it above-boards and it was easy-peasy. In fact, the class was downright enjoyable — the teacher is a very good storyteller! Now Danny’s just gotten his license, so I thought telling you about it might prove helpful for someone. In his case, he’s a new driver, and we’ve been teaching him whenever we get a chance for about a year and a half. He started out slow, as does everyone, but these days he’s become quite competent. He wants to work this summer to save money to buy a used car, and he will probably end up buying one with a stick shift. But, our car, the one on which he’s learned, is automatic. So, we enrolled him in a driving school so that he could learn how to use a clutch. The series of classes cost 1450 pesos, and included four rounds of driving of two hours each time, or eight hours total. 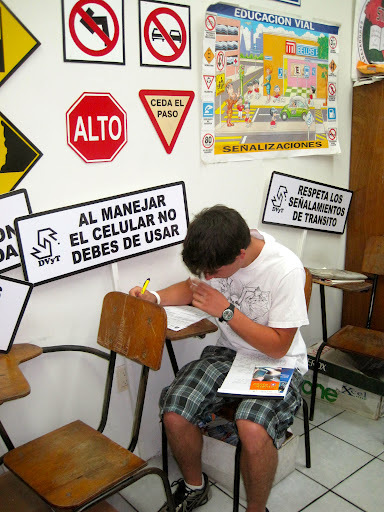 In addition, there was a three hour classroom session during which they studied rules of the road. He seems to have taken to the standard transmission like a charm. On Saturday he went to the tránsito, which is located just in front of the Aquarium here in Mazatlán. From the malecón, turn on the street towards the Aquarium. Go past the statue of Don Cruz Lizarraga, and turn right on the street on the far side of the vacant lot. The DMV office (tránsito) is at the end of the street, last building on your left, on the corner. There are two doors. The door on the right is where you file your paperwork. The door on the left is where you take a class. First-time drivers under the age of 18 have to take a five-hour class. They tell us the class is offered twice/month on Saturdays from 8:00 to 1:00. The classes seem to be pretty full, and the kids get a certificate upon completion which entitles them to be able to submit paperwork for a license. They do not take a written test. When we got our Sinaloa licenses we already had U.S. driver’s licenses, so we only had to take a one hour class. At the conclusion of the class, they gave out a written test. There was an English language version of the test that they give out here in town, which seems much much easier than the Spanish language version (it’s multiple choice). After the class and after you pass the written test, they give you paperwork so that you can go next door and get your license. 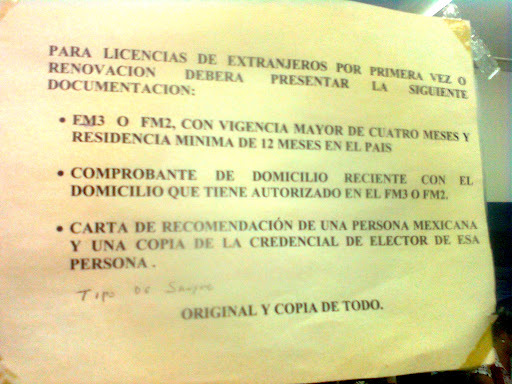 Letter of recommendation from a Mexican national, vouching that the person knows you and you are an upstanding person. This needs to be signed and accompanied by a copy of the signor’s voter registration card. You need to know your blood type (no proof required; just know it). If you don’t know, supposedly there is a lab about a block away where you can get tested. We know our blood types, so we didn’t experience this part of the process. When you present your paperwork, they will usually ask you to do a driving test. So, you will need a car. They just asked us to drive around the block, nothing too challenging. We’ve been told that they want to be sure you buckle your seat belt and instruct the examiner to buckle his; this didn’t happen for us. Danny was also told that they ask you to pop the hood of your vehicle and show the examiner where you insert water, oil, coolant, etc., though he was not asked to do this. Be careful as the street beyond the DMV office is one-way to the left; you don’t want to turn the wrong way. Also there are quite a few topes on the road leading up to the DMV office, as well as a stop sign conveniently hidden behind a tree. After you drive with the officer, you pay your fee at a booth on the right side. Currently that fee is 344 pesos for a two-year period. Next they take your photo and produce the license while you wait. Each license contains a fingerprint of the license holder, so that’ll be the last step in the process. For us we filed the paperwork, did the drive around the block and got our licenses in under 90 minutes. Licenses are issued Monday through Friday 8 am to 2:30 pm. Renewals (as well as license plates, titles) can be done at this same office. However, we have had much better luck renewing our licenses at the DMV office in the Gran Plaza — it’s less of a crowd and seems to go quicker. 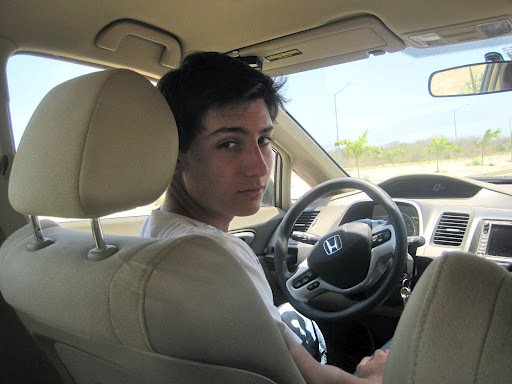 NOTE: Our son said he learned a lot more in the driving school than he learned in the tránsito class, although he enjoyed both, and that he highly recommends the school for new drivers. To all the people you can do the above which will take all day or most of the day or you can just pay a fee and get it. You decide. Yes, this is definitely true. As with so many things here, you can also just pay an extra fee and have someone get it done for you. Doing so, of course, promotes the sort of corruption and "getting around legalities" that so many in this country are trying to transform and get beyond. Not taking the test is most definitely an option, and a personal decision to take. Hello Anonymous,Yes, you can pay the fee and not spend what amounts to a few hours doing things the right way. How does that make you feel about your license? It becomes something you bought. I am proud of my Sinaloa drivers license. I am proud that I learned the system to obtain one, passed a written test and took a driving test. All the people I interacted with were pleasant and professional. 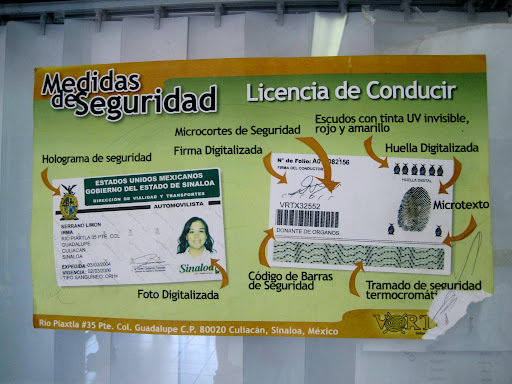 Teaching guests in this country to buy their way into such simple things as drivers licenses only reinforces stereotypes that Mexico is trying to move beyond. Thanks for reading our blog and taking the time to comment. Congratulations for doing the right thing and not contributing to the "mordida" culture in Mexico. 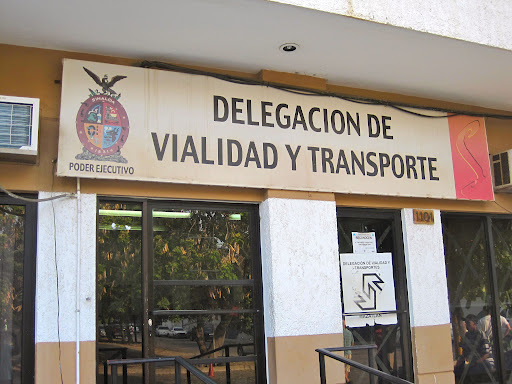 I lived in Guadalajara for 10 years, got an FM 3, got my Mexican driver's license, applied for Mexican citizenship, got a Mexican passport, got a cartilla militar exempting me from military service….all of these bureaucratic processes and NOT ONCE did I pay a bribe. Got pulled over by cops maybe 2 or three times…again, never paid a bribe so it's not impossible its just a matter of having good ethics. Again, congratulations. Yes, its a choice of being ethical and doing things the right way or taking the short cut and doing it the wrong you..you decide. Ulises, thank you for doing what's right on behalf of Mexico, and thank you for taking the time to share with us your encouragement as well. Changing systems is rarely easy work, and it "takes a village," as goes the African proverb. Congratulations for all you have done! Thank you for reading and writing! Dianne, which door do you go first into? Start paperwork, then the class, or first class then the paperwork? If class first, how often do they give the one hour class? To our knowledge and experience, Renata, if you already have a driver’s license from somewhere, they don’t make you take the classes. So, start in the right-side office door. New drivers take the class/test. Either way, best to start your paperwork on the right. May it go smoothly for you! Thank you, I’ll let you know how long it took me. First I am waiting on INM to get my final visa processed, then off to the next adventure with the drivers license. Good luck with both! It’ll be interesting getting our visas under these new laws. We look forward to hearing back from you! Best of luck with both. Congratulations, omedetou, and FELICIDADES a tí, Renata!!!! Way to go, woman! Way to go, government officials! Working together we can all make our home a better place. Bless you for paying things forward, Renata, and for being who you are. Thank you for sharing your experience. Sounds like it’s changed a bit from when we did it. Congrats. See you driving! I just went to get my license today. Things we needed to have, visa card copy, drivers license, copy, blood type paper work, can’t just tell them, letter of recommendation from national and proof of address. I had a telephone bill. Very busy in the office and can be a little intimidating but there is one guy who speaks English and if you ask him questions and smile he will answer you, please don’t be pushy since the rest of us have to ask questions too. I went to the class and it was all in Spanish so if you know little or no Spanish like my friend you are just out of luck, but the good news is the test is just common sense and is in english. I was the first done. Truthfully if you can’t answer these questions you shouldn’t be driving anyway. I went outside and the examiner ask me to get my car and we went for a ride around the block. I got my paperwork and went into the office and handed it to the clerk. Was told to wait. 15 mins later the called me up and gave me a temporary license (30 day) since they ran out of plastic cards. I had to laugh and left to return another day. Also one more thing, if you get on the road that runs parallel to the malocan turn at the street in between th two dirt lots and park there, the building is to your right on the farthest corner, just look for all the people. Ps this page helped a lot so wanted to share my experience. Congratulations, Stever! You did it! Thank you for sharing your experience so that others can benefit from it as well! Hopefully you’ll get your permanent license soon. Stay safe on those roads! Those motorcycles sure are having a blast! Your post helped us a lot to get our drivers license last week and felt we needed to report back. 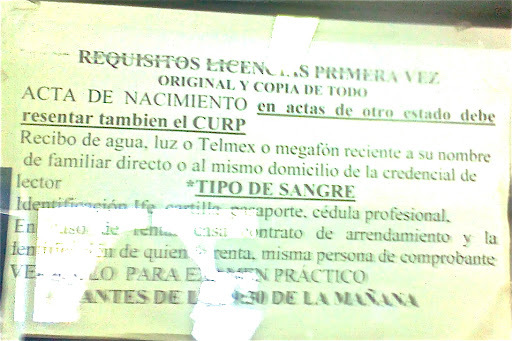 As we know, government procedures constantly change in Mexico. 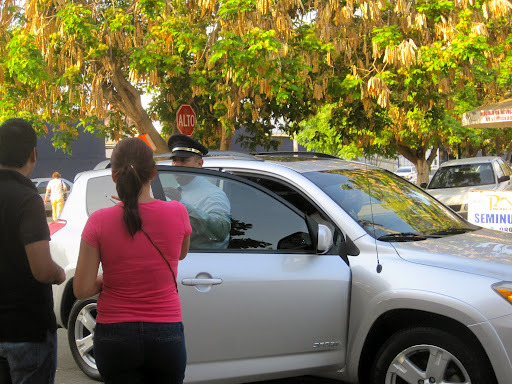 As of June 2013, there is a new process for those seeking a Sinaloa drivers license for the first time (i.e., not renewing.) This is due to a new type of drivers license that has the latest security features (i.e., much harder to be tampered, duplicated, etc.) The process now involves going to this government office 3 days in a row instead of 3-4 hours in one single day. Each day will practically take your entire morning. So, plan accordingly. DAY 1 – Go to “Vialidad y Transportes” near the Acuario. 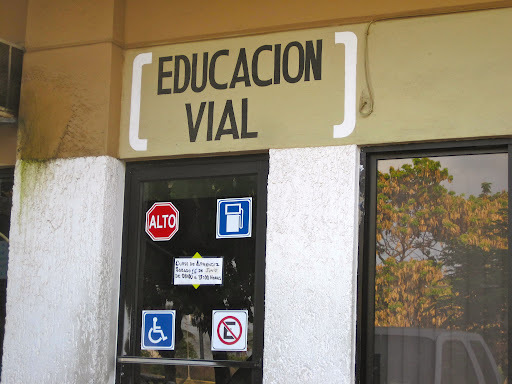 Proceed immediately to the door marked “Educación Vial” (there is normally no line in front of this door.) Take all the pertaining documents described above by Dianne. If you rent (your name doesn’t appear on any utility bill), you’ll need to buy a Contrato de Arrendatista (Renter’s Contract) before you go home today. It costs $2 pesos. It can be obtained next door to Educación Vial. You don’t have to stand in the long line. 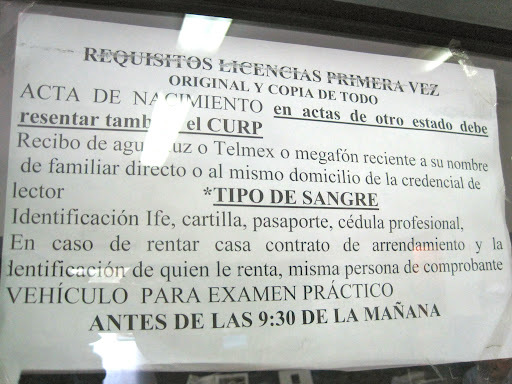 Just nicely ask the lady at the door who will let you in to buy your “contrato.” Your landlord will need to sign and attach a copy of his or her FM2, FM3 or, if it’s a Mexican national, voter ID. On Day 1, you will also take the 50 min. driver’s ed. class. There are two to choose from: 9.30 AM and 11.30 AM. Be there half hour prior to either one and bring a pen as there are forms to fill out. The class is only in Spanish (you can bring an interpreter if you want) but the class is structured in such way that you can follow a lot of it. The written exam, however, is available in both Spanish and English. It consists of three sections: fill-in the blanks (e.g., know the name of Mexican road signs), multiple choice and true/false. After you pass the written exam, you’ll proceed to taking the road test in your vehicle (you go around the block and follow certain maneuvers.) You will receive a form from the road test. Return to the same classroom and the driver’s ed instructor will review and sign-off on the entire documentation. Proceed to “Catastros” to pay. Catastros is located in the much larger building behind “Vialidad” across the street. Walk in and Catastros is immediately on your right. 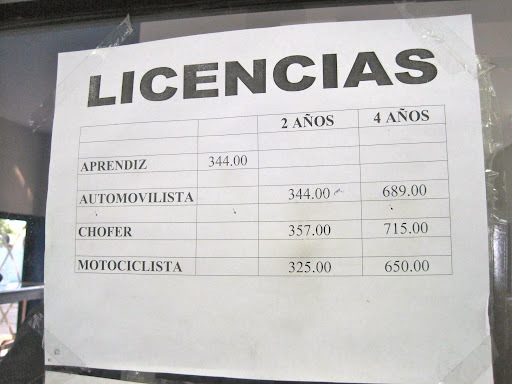 You will only be asked to pay $357 pesos (yes, it went up a little) for a driver’s license valid for two years. At this time, those with the new “Tarjeta de Residencia Permanente” only qualify for the 2-year license. The officer said they haven’t updated their regulations for Residentes Permanentes. 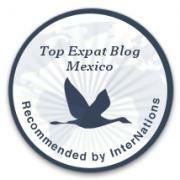 Only Mexican nationals or naturalized citizens are eligible for the four-year license. You’re done for Day 1. Plan on spending about 3 hours today. 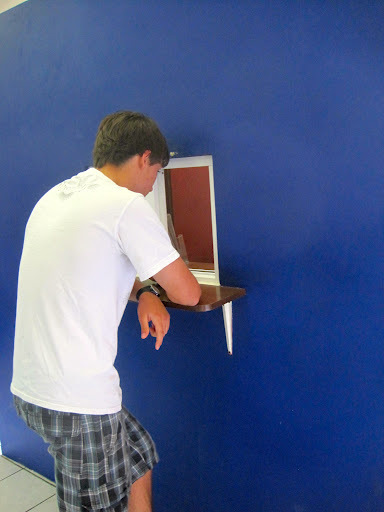 DAY 3 – This time you’ll stand in the shorter line on the right (those who now have a ficha.) This line will move quickly as those with a ficha take priority. Notice that the number on la ficha doesn’t mean that you’ll be called by that number. It just means that you’re one of the lucky 50 people who obtained a ficha the day prior. Photos are taken first come first serve. Once you are processed, you will be asked to sit around to wait for your photo, take your fingerprints and scan your retina. When you’re up, they will call your name. You’ll spend about 5 minutes in the photo booth. The technician will produce your drivers license in less than a minute. You’ll sign a couple of receipts. Make sure everything on the drivers license is accurate before you leave the office. In our case, the nationality was shown as “Mexicano” (default by the new system) instead of “Extranjero”. It took them at least another hour to sort it out since calls had to be made to Culiacán. Plan on spending about 2.5 hours if everything goes well. All original documents (e.g., utility bill) will be returned to you. Congratulations, you’ve survived the process of obtaining a Sinaloa drivers license! The first driver’s license has become a really tedious and time-consuming process. The good thing is that future renewals should be much easier. 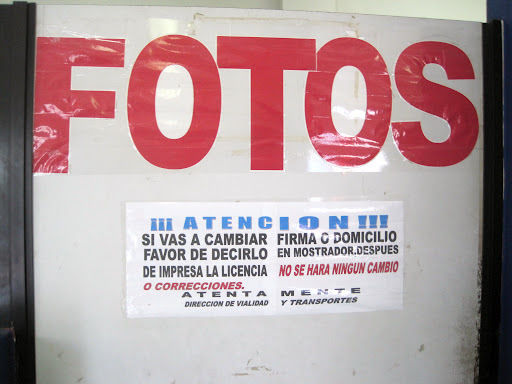 In fact, we were told you’ll be able go to the branch office at La Gran Plaza (next to Sky Gym) for license renewals. At least you won’t be out in the heat waiting in line. Cris, BLESS YOU for sharing such great detail with our readers!!! Thank you thank you thank you. We’ve been meaning to get to it, but as this blog is our spare-time hobby after paying work and parenthood, it can be slow. Glad to hear all went well for you.